Genre: Role Playing Game Publisher: SQUARE ENIX CO., LTD.
Release Date: 2019/1/24 Developer: KOEI TECMO GAMES CO., LTD. Create your world and destroy your fate. 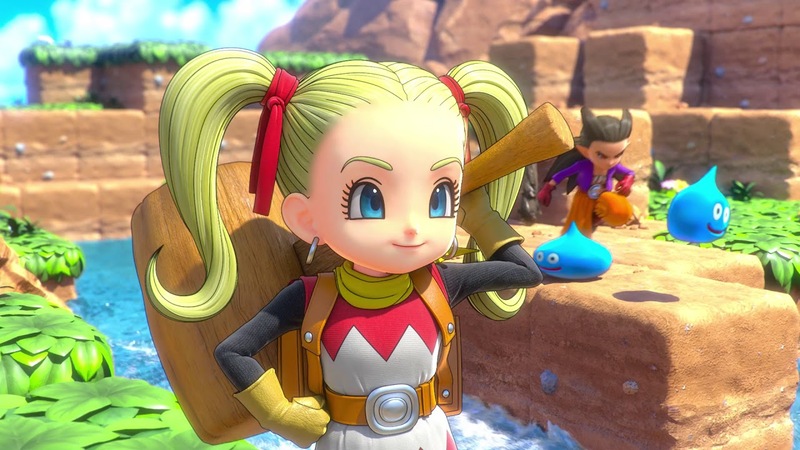 DRAGON QUEST BUILDERS 2 which is the latest installment of the "DRAGON QUEST BUILDERS" series is finally here! This is a block-building RPG with a story that is created through the freedom of the sandbox element in a world that is made of blocks. In this world the Children of Hargon, a nefarious order that worships destruction and despises creation above everything else is still continuing to expand its evil influence. As an apprentice builder, you will need to rise up and become a true builder! You will travel around the world and keep deepening your friendship with Malroth, a young boy who has lost all of his memories. So what will happen when the hero become a master builder!? And what will become of the hero and his/her good friend Malroth... Definitely look forward to this game as it contains an original storyline, enhanced crafting elements and the multiplayer mode.